Description: The literary web series genre, which includes shows like The Lizzie Bennet Diaries, Emma Approved, and Carmilla, is full of sharp, digital-savvy adaptations of classic works. Over the past five years, it seems as if every book from your high school lit class has been made into a vlog, and the time is right for two creators with extensive experience in that genre to offer a refreshing take on it. Jenni Powell and Paula Rhodes have turned to the internet at large in hopes of funding a nine-episode web series titled Fictional Fares. The star of Fictional Fares is James Brent Isaacs (Emma Approved, Social Medium), who will portray a rideshare driver in a world filled with pop culture characters. The series will portray conversations between the driver and the fictional figures he picks up. Featured works will range from The Epic of Gilgamesh to Mulan, and the cast of guests — including Ashley Clements and Steve Zaragoza, to name two — will be filled with talented web series stars. With the funds they hope to raise, Powell and Rhodes plan to put together a nine-episode series. Fasten your seatbelts, lit nerds. Creator Bio: Powell and Rhodes have worked together on several projects, including the well-received literary web series The New Adventures Of Peter + Wendy, which Powell produced and Rhodes starred in. Powell’s other credits include The Lizzie Bennet Diaries and Emma Approved, while Rhodes has appeared in shows like A Good Knight’s Quest. Best Perk: The $20 “New Car Smell” perk offers car fresheners whose olfactory profiles are inspired by works of classic literature. Just make sure you don’t get a scent inspired by the smells of Oliver Twist‘s London. 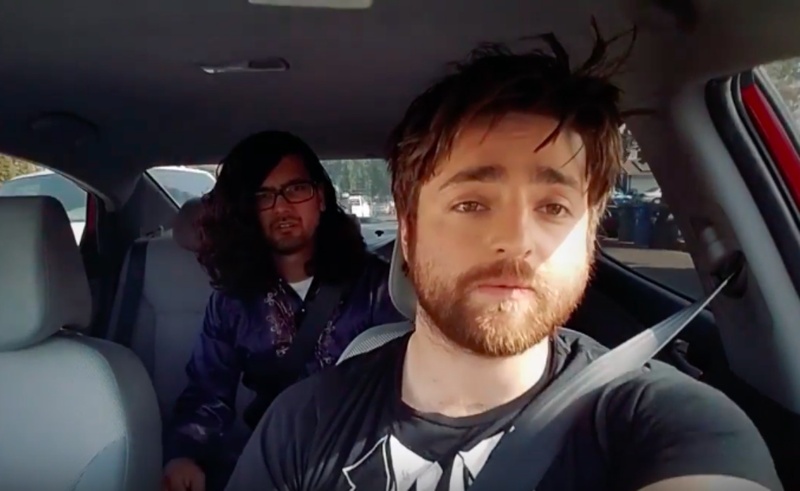 Why You Should Fund It: The rideshare comedy has emerged as a compelling setup for web series gold, and it’s a format that pairs well with the literature-inspired content Powell and Rhodes are known for. For years, Fictional Fares‘ two creators have worked on some of the most significant projects of the YouTube era, earning Streamy and Emmy plaudits along the away. Now, they’re looking to combine a strong premise with an excellent cast. That sounds like the setup for some worthwhile fare-y tales.